What if you you lived in a land where fairies came to play with you? A place where imagination rules all and butterflies lingered to see you smile. Welcome to that place. 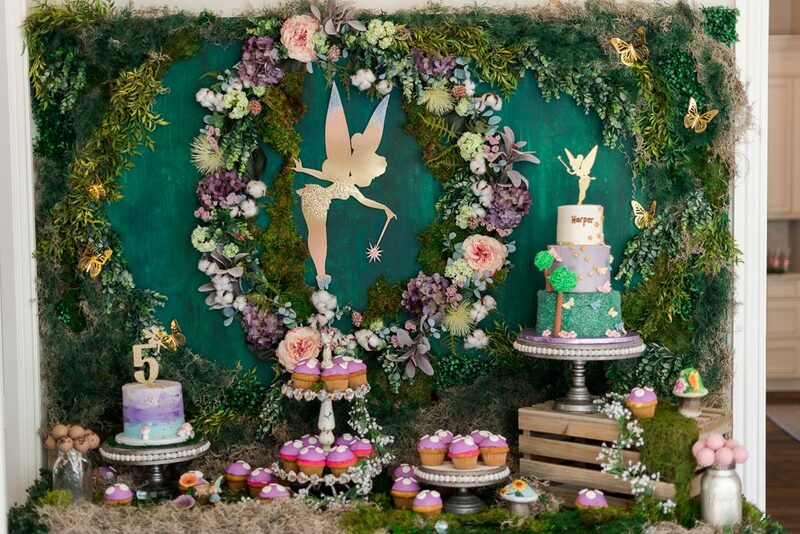 This fairy party is sure to please everyone of any age. 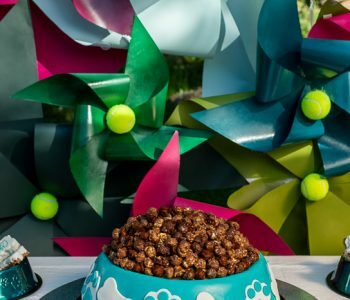 Never never land has nothing on Tinkerbell’s newest dwelling. 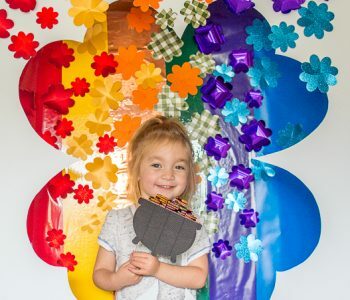 There is nothing as exciting as a birthday party. A day dedicated to celebrate your birth, your existence. 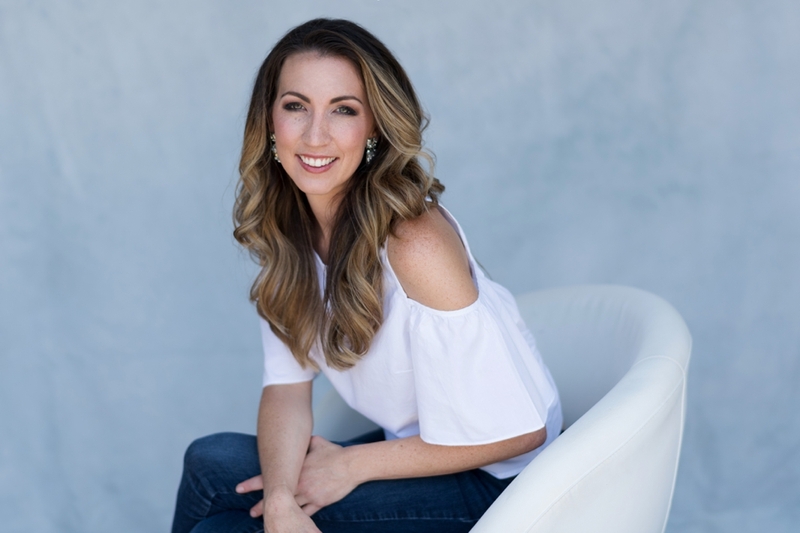 As a Mom, looking back on that wonderful day (undoubtedly leaving out the not so fun parts) you want your child to know that they are amazing. 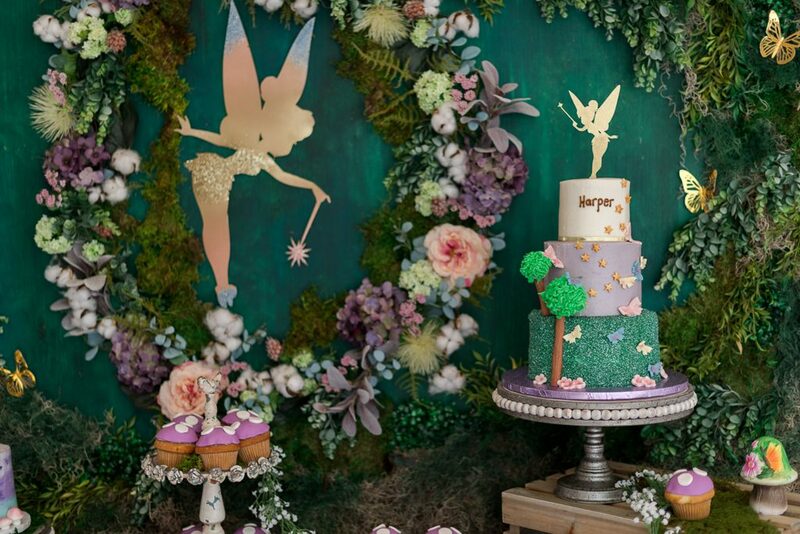 Nothing short of this magical fairy party would do for this Mom’s celebration would do. A Girl and Her Glitter was invited to add elements to this existing party to take magic up a little more. 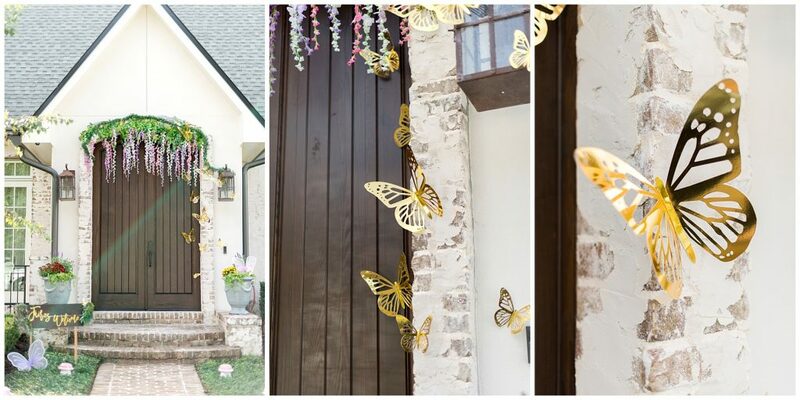 These fluttering butterflies were the perfect touch to the front door and entrance to this magical fairy party. Using the Cricut Maker machine and these metallic card stock papers (these papers are 12″x12″ and were picked up at Michaels Craft Stores), we used Design Space and chose a pre made butterfly design. Such an easy and quick craft but with huge impact. Duct take was used to attach to the wall. You can find my step by step tutorial on Craftsy Unlimited. Guests were greeted by a whimsical sign to preview what was to come. Taking an old pallet and added wood stakes to them after staining the wood a darker color. 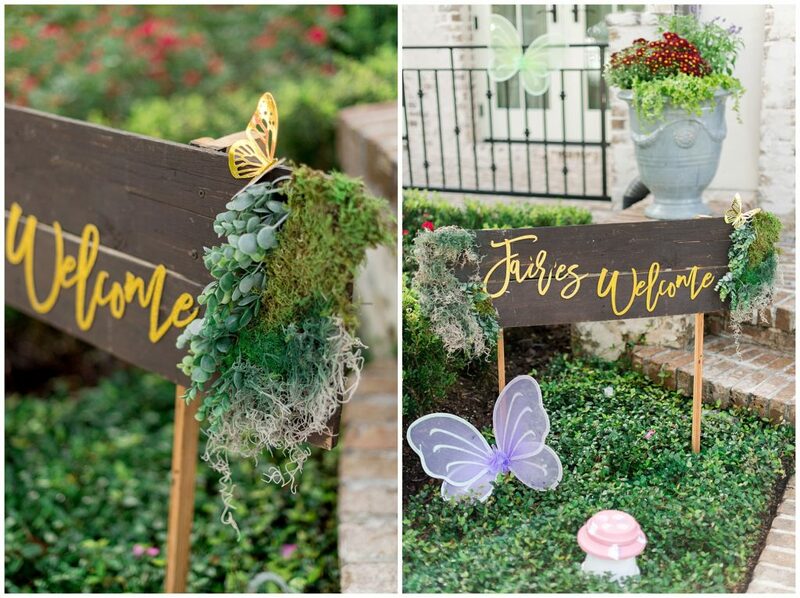 Taking moss and faux greens we attached them to the signs using a staple gun. 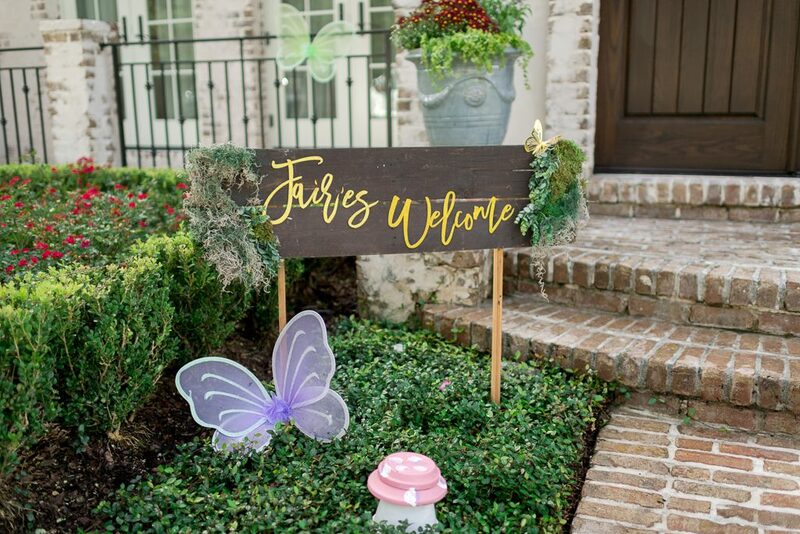 The words “fairies welcome” was cut out using glitter foam that had a sticky backing (found at Michaels) and was cut using the Cricut Maker. 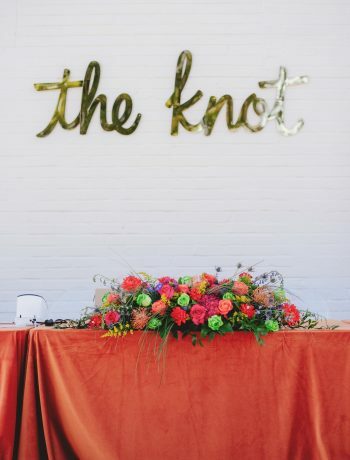 Placing details in every nook an cranny will make your guests notice details. The hostess had ordered these hanging faux flowers from Amazon.com and had no idea where to put them. She had sent me a photo a week before asking if she should get them… um, yes! 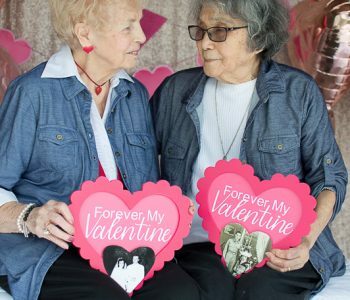 I found the perfect place to hang them on two of her three chandeliers in her amazing kitchen. We also used them for around the front entrance along the top of the door. 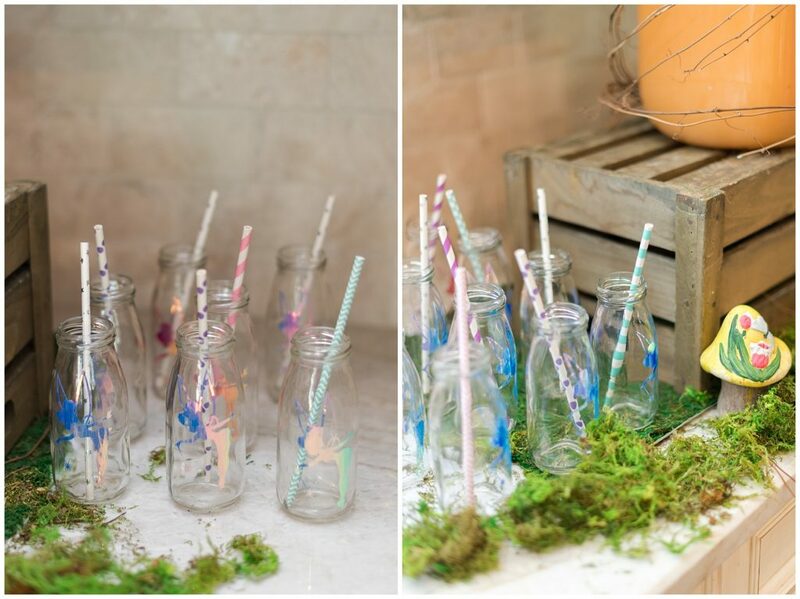 Using milk glasses from the hostesses’ previous parties, I wanted to make them take on a new life. Using holographic vinyl, we chose the Tinkerbell silhouette and applied them directly to the glass. 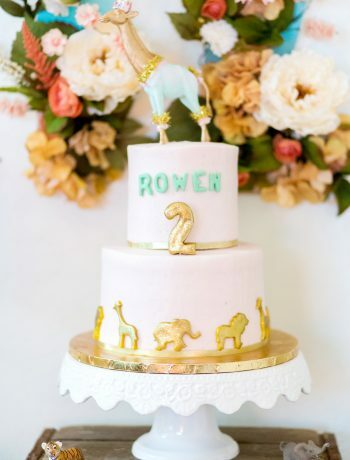 These small touches are easy to create, using your Cricut, easy to apply as well as to remove. 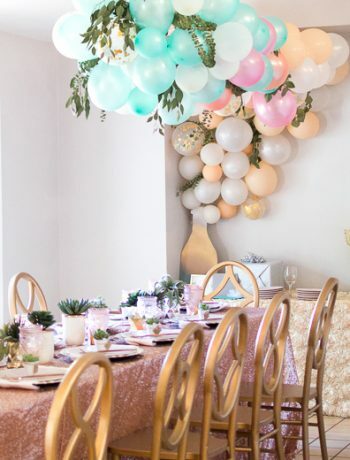 Wanting this party to stand out from the rest, I opted for a more textural and large focal point. When I told the hostess my idea for the back drop, she was uneasy and did not agree with ideas. Asking her to trust me, I went ahead with my plans. Starting with two 4’X8′ thin pieces of ply wood, I first painted layers of greens. Not wanting the backdrop to appear flat so we added in a range of greens. From 2d to 3d I added greenery; moss, faux eucalyptus (a variety) as well as boxwood all with a staple gun and some hot glue. The crown jewel is the wreath that cradles Tinkerbell. Using am array of faux flowers with hues of blues, purples to pinks we focused on textures to bring out the wonder of it all. 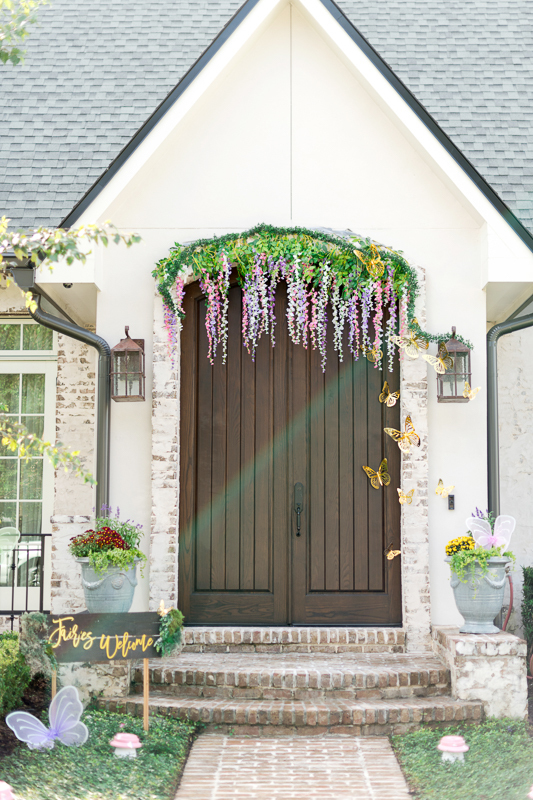 We topped it all off with those same butterflies from the front door. 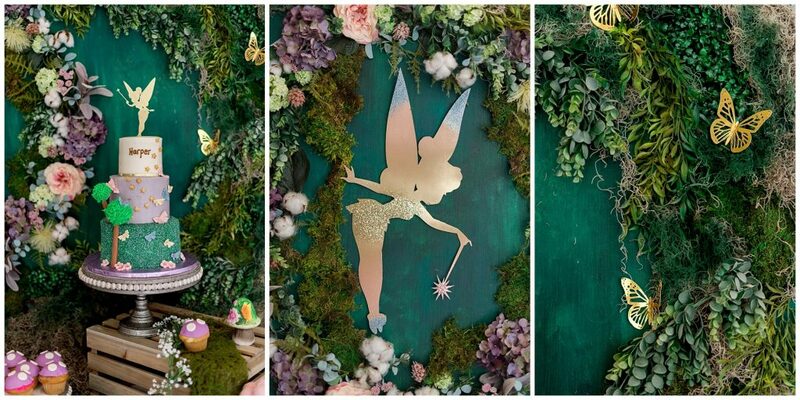 The larger Tinkerbell is actually make up of two 12″X12″ gold card stock. Tink ended up being 24″ in height. By simply tapping her together in the middle, on the back side, I hid the seam in the from with glitter. 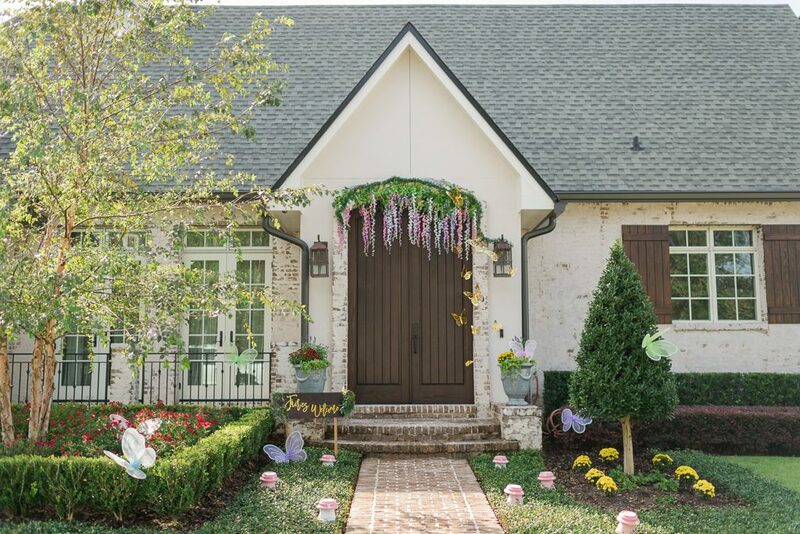 By adding glitter to her wings, shoes and wand, it all looked like it belonged. I used my Cricut Maker and the Tinkerbell image was downloaded from a google search.